(ERGO) – Around 650 students have had their education disrupted after the closure of seven schools in Darar-weyne, 125 km south of Erigabo, in conflict-torn Sanag region. There has been a massive exodus of people fleeing Darar-weyne since January, when tensions flared. 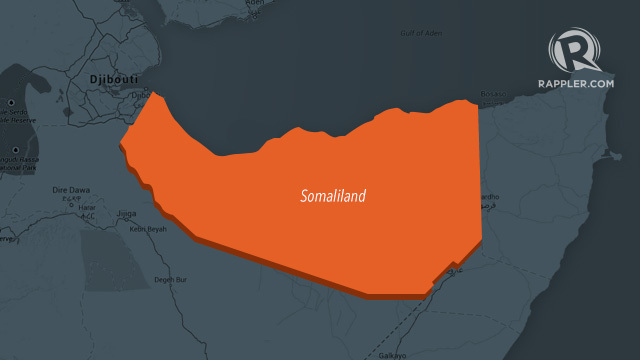 The education coordinator in Darar-weyne, Farah Adan Hersi, told Radio Ergo that the only secondary school had been turned into a military base for the Somaliland troops deployed there towards the end of last year. Farah said the facilities had been damaged and they would replacement equipment and supplies if they reopened the school. Nineteen teachers who taught in the various schools in Darar-weyne have left to seek jobs in other areas. Many families fled to villages between 15-20 Km away, including Garab-Ad, Hamilka, Beerwaafo, Siigoder and Daba-mam’a. Others joined IDP camps south of Darar-weyne. Those who could migrated even further away to the large town of Erigabo and El-Afweyne. Ibrahim Ahmed Yusuf, 25, was a student in first grade at Darar-weyne secondary school. He is now tending the family’s last remaining 20 goats from their original herd of 150 before the drought. The family fled into the rural area and cannot afford to send Ibrahim elsewhere to study. His four sisters and three brothers, who were in primary schools in Darar-weyne, now spend their time at home. Their parents are worried that the conflict will affect their children’s future. Among the 650 students affected are 227 girls. Darar-weyne has few residents left in it – the men have all gone, leaving around 350 women and children, with no means of leaving. They are dependent on their remaining livestock. Amina Yusuf Mohamed is still in Darar-weyne with her eight children. Six of them were in local schools. She sent her eldest son to Burao to continue his secondary studies under the care of relatives. But the rest of her children are home without any options. They depend on the small income of her husband, working as a carpenter in El-Afwayn, 60 km away.